NTT UD contributes to building towns which capture the future by providing real estate services. What we value most is satisfying our customers and members of local communities, and bringing smiles to their faces. To picture the future and nurturing the development of the town by placing local communities as a starting point. Innovative area management has been lacking when building towns up till now. 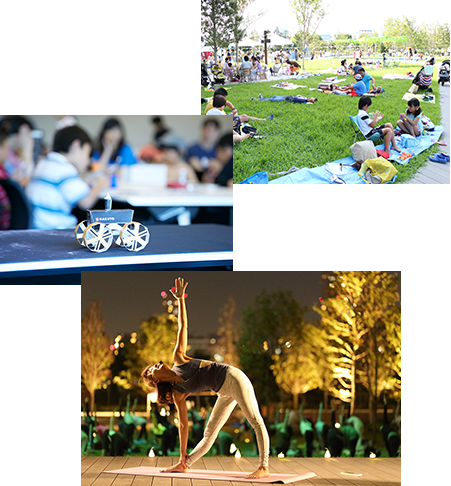 Various thematic events are being held at Shinagawa Season Terrace: Green (lush natural environments), Technology (IT company technologies), and Openness (creating places where people can casually interact). These events build communities, people's pride and attachment to towns grow stronger which has a positive effect on the entire town. This virtuous circle increases "urban value" in its true sense. NTT UD supports towns by taking a lead role in providing area management support. Towns have the potential to continually change/develop. We bring new functions to towns, and facilitate cores for local communities to develop. Akihabara UDX is a project that reflects Akihabara's "Electric Town" image. We began developing a new core block 10 years ago in Akihabara, which was then not yet a business area for NTT UD. 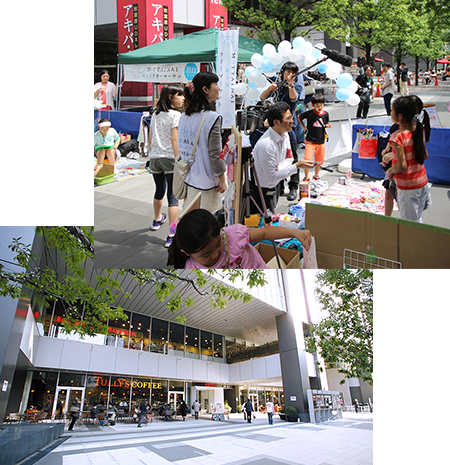 NTT UD contributes to the development of the community by holding various events in partnership with local government and townsfolk at the "AKIBA_ICHI" multipurpose commercial/office facility. 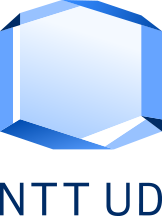 How to utilize new development methods and the latest technologies is the question. An office building of the highest quality seen in Japan becomes a reality via public/private paticipation in a large-scale development.  Shinagawa Season Terrace is a joint public-private building project, which has given birth to an office building on a previously unused site. Consideration of the environment has led to natural energy (sun/wind/water) and heat of underground water being utilized in this multipurpose facility. The property is equipped with one of Japan`s largest earthquake base isolation units for everyone`s safety and peace of mind. will be actively explored to further generate added value. Grand Front Osaka is a large-scale development project involving 12 developers in Osaka: a global hub of commerce. 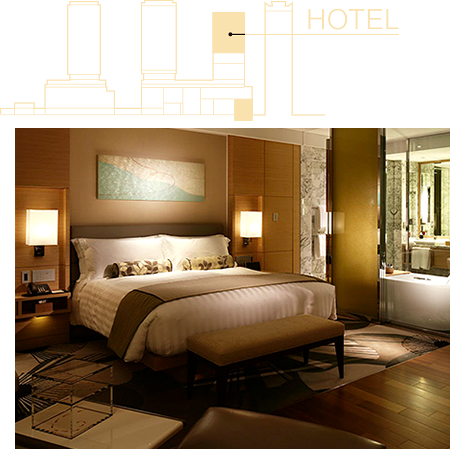 As the group leader of the hotel tower development, NTT UD has taken on the challenge of bringing on board a hotel operator. Having a facility offering an international caliber of hospitality enhances the attractiveness of this district which contributes to development of Osaka and the entire Kansai area. Development is more than just "scrap & build". while leveraging existing buildings and site location characteristics. HIVE TOKYO was brought about by converting an old office building in the city center and developing it into a new and advanced, globally-connected workplace. More than just a workplace, the property is an innovation-generating office space that doubles as a place to live. Domestic Japanese and overseas businessmen are using the building as a base from which to grow business in Japan. that match the changing work styles of office workers. What today`s workers want from companies: healthy and individualized workplaces where work can be performed nimbly and creatively. 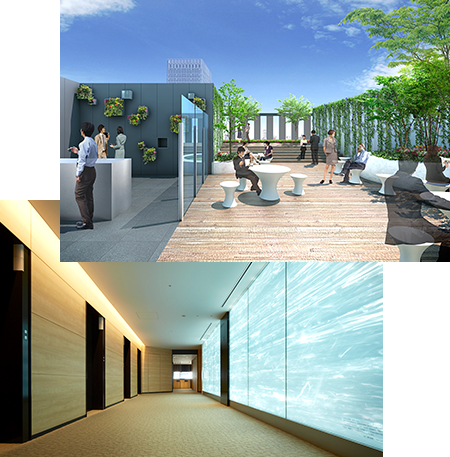 Out-of-the-box thinking has been applied at Urbannet Nihonbashi Nichome Building and Urbannet Ginza Icchome Building to create workspaces which promote high intellectual productivity, health and happiness. 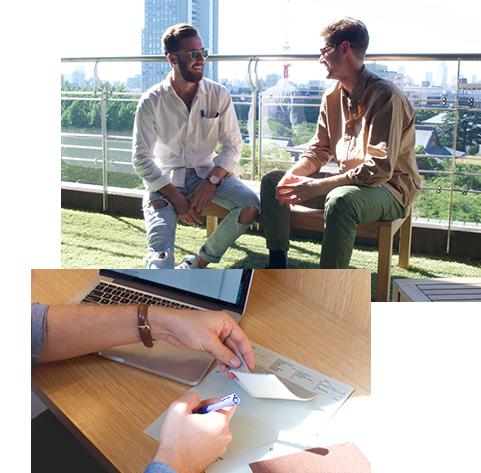 For example, natural light is incorporated into office spaces through light duct technology, and a rooftop terrace has been built which offers a sense of openness within the city center. NTT UD does the utmost to learn from and respect a town's culture, history, and landscape. We believe this is how to draw out a town's value and potential to its maximum. NTT UD respects the history and beauty of existing townscapes as a part of our collective heritage that has been cultivated over a long span of time. 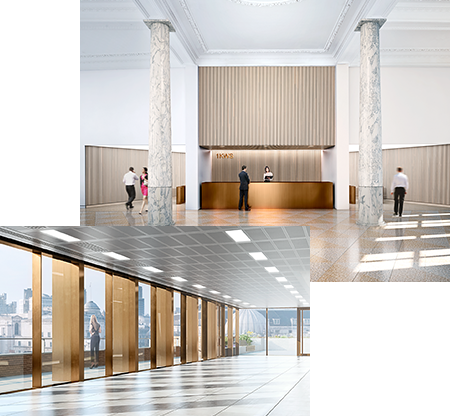 Added value by carrying-on traditions is achieved with our London office building (1 King William Street) by preserving the old-fashioned façade while incorporating state-of-the-art technology into its interior renovations. now and long into the future. 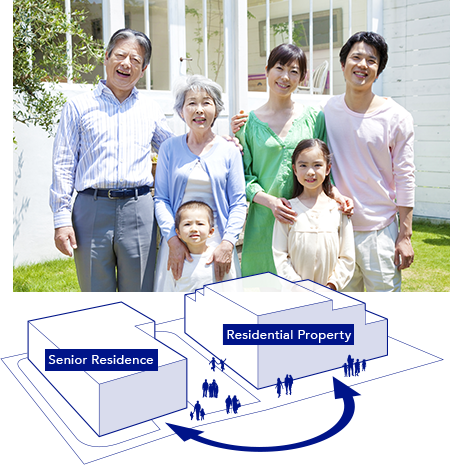 NTT UD developed the "Tsunagu Town " Project as an integrated development of serviced houses and condominiums for elderly citizens. The development is sensitive to the diverse values and physical conditions of the elderly people and can cover a wide-range of lifestyle needs. Communities are being built that foster interaction between residents and amongst the local community, and where multiple generations can live active lives. we will engage with our customers in good faith with a cutting-edge and innovative approach.